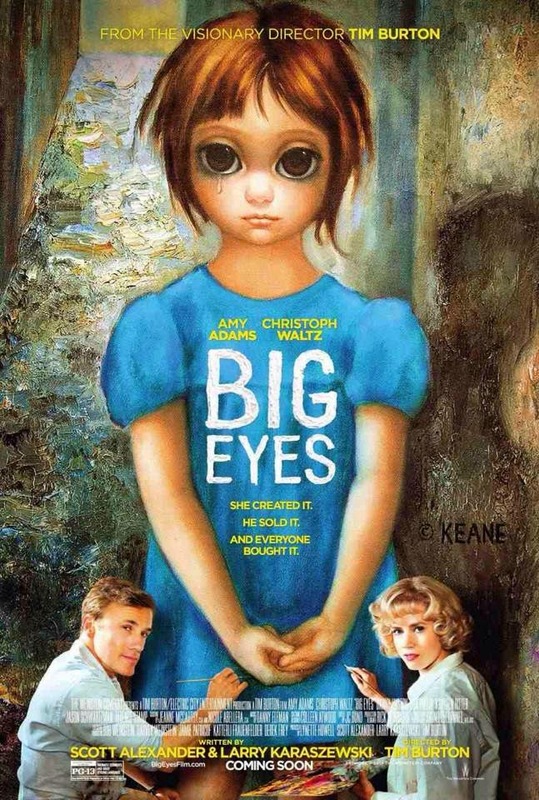 #MoviesMusicPlaysFilmFestivalsConcerts: Film Review: "Big Eyes"
"Big Eyes" is based on an astonishing story of deception and of a husband and wife battling over the authorship of a series of paintings about children with hauntingly big eyes that set the art world on fire during the '60s. It is also an examination of what really constitutes art and its legitimacy. Additionally, it also examines the testy relationship between commerce and art. Does one wait for his art to be discovered or is it okay to advertise, promote and sell your art? The movie also shines a light on the role of critics in relation to art. There's a scene in the film that somewhat validates the need for critics while at the same time sharply questioning our role in the appreciation of and elevation of art and the artist. In this day and age of social media when people can create almost anything, the movie sorts of puts the focus on what makes art truly art. Amy Adams and Christoph Waltz play the warring couple. Their performances are commendable but not really memorable (given their excellent body of work) with Waltz delivering his usual hyper-acting -- which is unfortunately becoming really annoying. This movie features a dark story but lighted in pleasantly vibrant hue -- a welcome surprise from director Tim Burton.